Grace - this month's #SoulDeep Daily Scripture Reading topic. 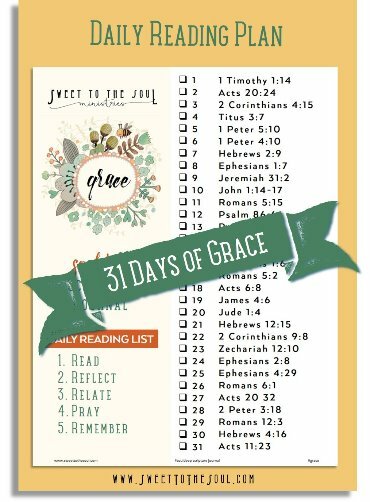 In our 31 Days of Grace series, we will reach deep into the scriptures daily to discover what God has to teach us about grace. "The unmerited love and favor of God toward human beings; divine influence acting in a person to make the person pure, morally strong; the condition of a person brought to God's favor through this influence; a special virtue, gift, or help given to a person by God." In Christianity, God's grace is often confused with God's mercy. Although they are similar, they possess a clear distinction. Grace is the receiving of something we do not deserve (God's favor and forgiveness) and mercy is when we are spared from something that we do deserve (punishment). Teachings of grace are woven all throughout the Bible, the 31 scriptures we've included for our daily reading are just a few on the topic. But our prayer is that through examining these 31 scriptures in context, will give us all a deeper, more real and relatable understanding of God's grace. ​When I get into my Bible to study, I am a digger. I really enjoy diving in and searching for other scriptures on the same topic and cross-referenced scriptures that give more insight. Mark, circle, underline, highlight words and phrases that stand out to you. Any words make you want to dig deeper? Look up and define any words that need clarification. 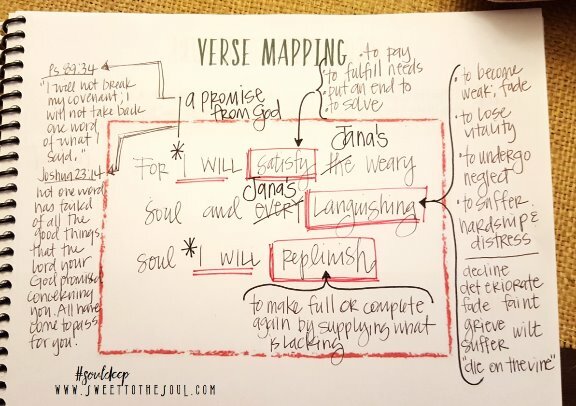 Today's blog is part of our #SoulDeep Scripture - Grace series. Our Grace - Soul Deep Scripture Journal, is now available in the SweetToTheSoulShoppe on Etsy. It is a .pdf file for you to download and print. 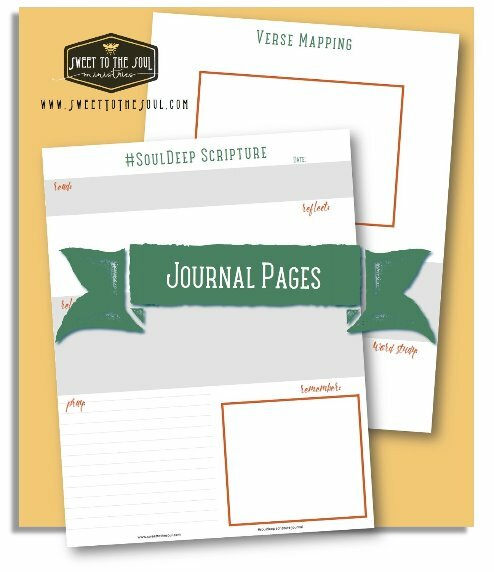 Included is the Daily Reading List and 62 journal pages preprinted with each day's scripture. 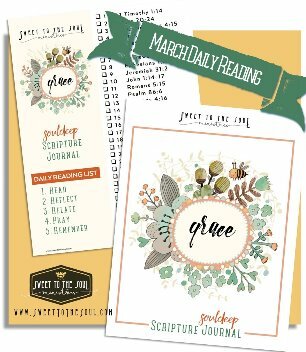 Also included is a separate FREE download of 31 printable scripture cards. This is so good, Jana! Pinning this right now. I appreciate your insight into Bible study, friend. And GRACE. We all need it. 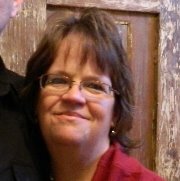 I just found this study on face book and I am excited to get started I am not new to a relationship with our father but I am looking forward to growing everyday with his word and all I can learn from other Christians .Looking forward to a wonderful study. Thank you for sharing its been helpful. I love to dig in the word you have showed me in a better way. May god bless you and take care.